How to watch The Dictator (2012) on Netflix Egypt! Yes, The Dictator is now available on Egyptian Netflix. It arrived for online streaming on June 30, 2018. 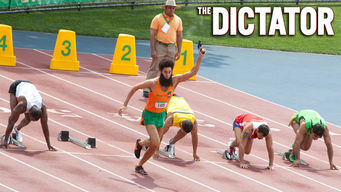 We'll keep checking Netflix Egypt for The Dictator, and this page will be updated with any changes. This comedy chronicles the glorious efforts of General Aladeen, dictator of the Republic of Wadiya, to oppress his people and fight democracy. Exiled to America. What’s a power-abusing world leader to do? Offend EVERYBODY and maybe get his country back.